1.1 - These rates are per day for pre-booked unlimited mileage rentals on Algarve, Lisbon & Oporto. Rates include Collision Damage Waiver (CDW), Full Comprehensive Insurance, Super Collision Damage Waiver (SCDW) with ZERO excess, Personal accident insurance (PAI) and Portuguese VAT at 23%. 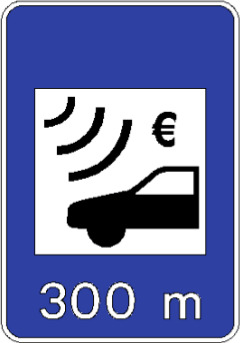 These rates do not include Fuel, Road Tolls, parking and traffic fines, Out-of-hours charge, Optional extras such as child seats / baby seats and GPS, damage to the vehicle caused by negligence, tyre and wheel damage, interior damage, damage to the roof, damage to the underside of the vehicle, damage to the glass parts of vehicle (including the windscreen), wing mirrors, loss or damage to the car key, locks, vehicle documents and registration plates, missfueling and damage to clutch and steering wheel box. 1.2 -To calculate the rental price choose the column and Season which suits your Rental Period and multiply the daily rate for the number of rental days. 1.4 - One rental day is considered a 24 hours period. There is a tolerance of 2 hours difference between delivery and return. If this 2 hours tolerance is exceeded one extra day will be added to the rental agreement. 1.5 - The Season rental price will change in the precise day as referred in the price list. Any rental beginning in one season and ending in other season will have two season prices applied to the rental price. 1.7 - Vehicles in Groups E, F, G, H, I, J, J1, K, L, M, N, N1, N2, O, O1, 5+2, P and P1 are on REQUEST BASIS only. 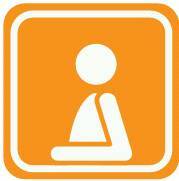 1.8 - Baby/Child seats are available ON REQUEST at a charge of €15,00 per week. 1.9 - Global Positioning System (GPS) available at €5,00 per day up to a maximum of € 50,00 per rental(necessary to leave €100,00 excess for this equipment). 2.0 - OUT OF HOURS (22:00 until 07:00) Delivery or Collection at an additional charge of € 20,00 for the Algarve and Lisbon, and € 25,00 for Oporto. 2.1 - One way rentals between the Algarve and Lisbon will have an additional fee of €100,00 if the rental period is less than 7 days. One way Rentals ending in Oporto will have an additional fee of € 150,00, regardless of the rental period. Rentals starting in Oporto and ending in Lisbon or the Algarve will have a One Way fee of € 100,00 applied. 2.2 - Free deliveries in the Algarve and Lisbon Airport. € 30,00 delivery fee for rentals starting in Oporto. 2.4 - GREEN CARD FOR SPAIN for an additional charge of €7,50 per day up to a maximum per rental of € 52,50. 2.5 - Car type shown represents the main vehicles offered in each group. Similar type of vehicles but from different manufacture may be supplied at commencement of rental. 2.6 - A full driving licence must be produced by each driver, and must have held it for a minimum of one year and be at least 21 years old. Young Driver fee up to 25 years old of € 5,00 per day. 2.7 - In the event of an accident, if the driver has been driving under the influence of alcohol or narcoticts, in accordance with Portuguese Law, the driver will be required to pay the cost of any damage incurred. The insurance becomes INVALID if anyone whose name is not on the contract drives the vehicle, also if vehicles are loaded with more passengers than their stated capacity; or if drivers are found to be under the influence of alcohol or drugs. Insurance cover will also lapse in the event of negligence or if the vehicle is driven on an unmade road or any road unsuitably narrow for vehicles to be driven on. The rental agreement and insurance becomes INVALID if out of the rental period duration or without the payment of the amounts due for the rental. 2.8 - In the event of an accident, a damage report must be completed by the driver for any damage to the vehicle, however minor it is. If a collision occurs, a police report and case number must also be provided. Clients must contact Rentcar4less in the event of any damage. If this procedure is not followed, the insurance cover will become invalidated, leaving clients liable for all damage. Rentcar4less main cars hire depots are at FARO AIRPORT, S.BRÁS DE ALPORTEL, CARVOEIRO and LISBON AIRPORT.